Is there any paperwork or document for the mechanical systems of 424129 25th Sideroad Rd, Amaranth, Ontario? 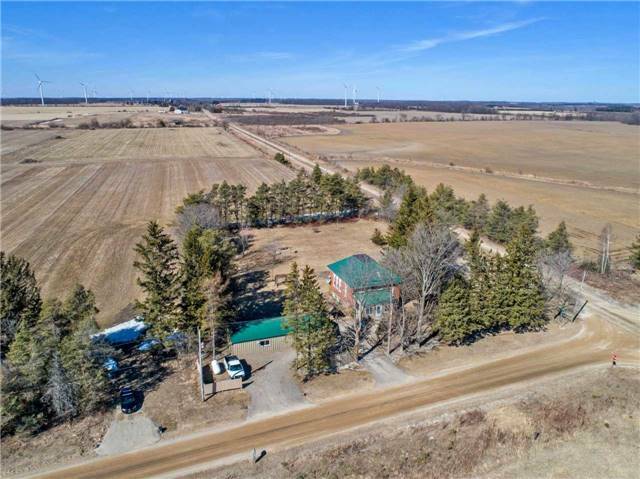 I need more information about the property at 424129 25th Sideroad Rd, Amaranth, Ontario. How ist the neighborhood, location and nearby amenities for 424129 25th Sideroad Rd, Amaranth, Ontario? I have questions about the roof, foundation, insulations and mechanical issues of 424129 25th Sideroad Rd, Amaranth, Ontario? I need more information about property details. What's wrong with this house? Is this a short sale? Is there any maintenance for 424129 25th Sideroad Rd, Amaranth, Ontario? What is this property worth in today's market? What are "closing costs", and how much? What steps should I take when looking for a home loan? What price home can I afford? Is my credit good enough to buy this house? What are the best mortgage options for me? How flexible is the seller on the asking price? How low can I consider offering for 424129 25th Sideroad Rd, Amaranth, Ontario? Absolutely Stunning 1.25 Acre Property Situated On A Quiet Corner In Amaranth. Boasting Beautiful Gardens And An Exceptionally Well Cared For 1916 School House. Large 2+ Car Garage With Workshop-Total Space Measures 49 X 19.5. Zoning For At Home Business Subject To Specific Requirements. Cozy Gas Fireplace Inside And Custom Fire Pit In The Backyard. Updated Master Ensuite . Triple Brick Construction. Road Access On 25th Sideroad And 7th Line.